There are so many flavors that converge in the aji amarillo pepper – a sun-drenched crispness, a fruity turn from the tropics, and even a hint of raisin. Between the flavors, the yellow-golden hue, and a sultry medium-heat, it’s like summer kissed these chilies. Aji amarillo is so delicious that it’s truly the chili of a nation. For Peru, it’s one of the pivotal ingredients used in their regional recipes – from hot sauces to salad toppings, it’s a staple of their cuisine. Outside of Peru, they are much tougher to find, but, obviously, well worth the hunt. What does aji amarillo mean? What’s the history if this chili? In Spanish, aji means “chili” and amarillo means “yellow”, so simply aji amarillo is a “yellow chili”. Logical, yes, and it belies the generations this chili has impacted. 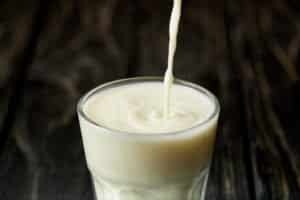 It has been a staple of Peruvian cusine for hundreds of years. In fact, the Incas used this chili which speaks to its long heritage. It’s other name – Peruvian pepper – is truly more to the point. This is a chili that heats the blood of a nation and has done so for years. 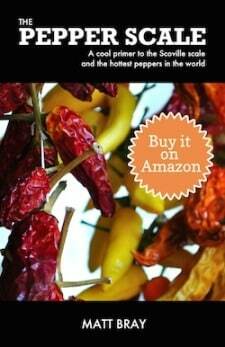 At 30,000 to 50,000 Scoville heat units, it matches up with cayenne pepper and tabasco chilies. It sits right in the middle of the medium heat section of the Scoville scale. Comparing it to our jalapeño reference point, the aji amarillo is four to twenty times hotter. 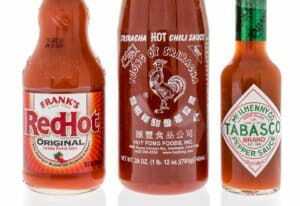 It’s not so mild as to merely be a simmer and not so hot as to turn off all but the serious spicy food fans. It’s a heat that pushes the envelope, but doesn’t burn it up. 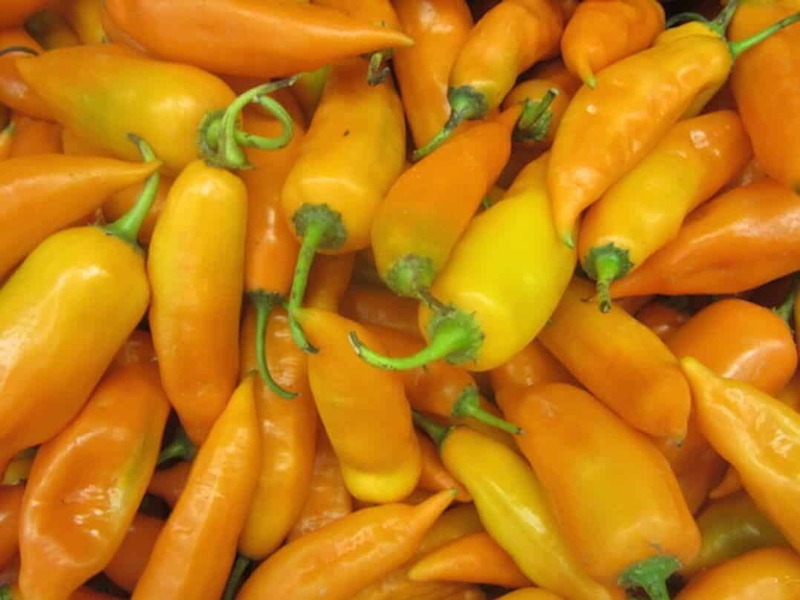 What do aji amarillo taste like and look like? The name “yellow chili” speaks to the look, of course. But as the aji amarillo ages, it turns from yellow to a fiery orange, sort of like the sun itself. They grow to four or five inches in length, with a slim chili body and thick juicy walls. There are so many flavors meshing together here – a clean sunny taste, hints of tropical fruit, and a slightly raisiny finish (that’s highlighted when this chili is dried). Some compare it to a Scotch bonnet pepper in flavor (but much milder), and that’s about right. Though we find the Scotch bonnet to be slightly fruitier and the aji amarillo to be more bright in taste. 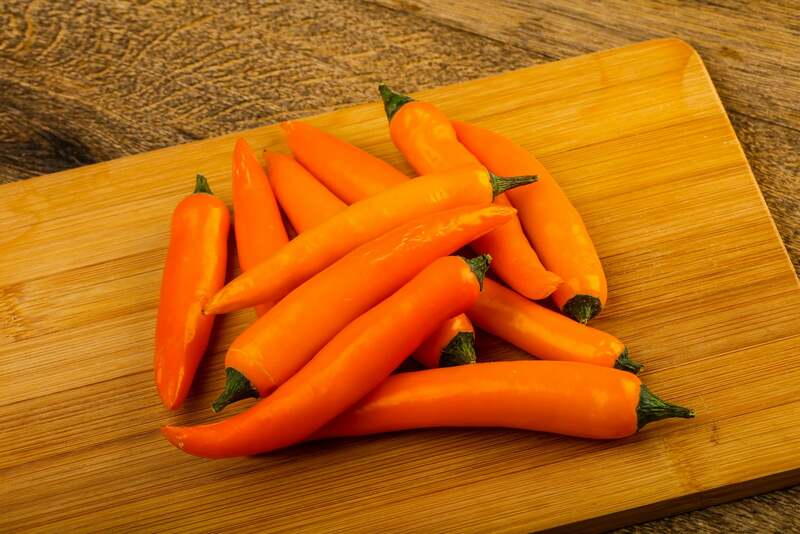 The aji amarillo’s flavor profile and broader shape just makes it a little more usable across a variety of recipes and cooking methods. How are these peppers typically used? 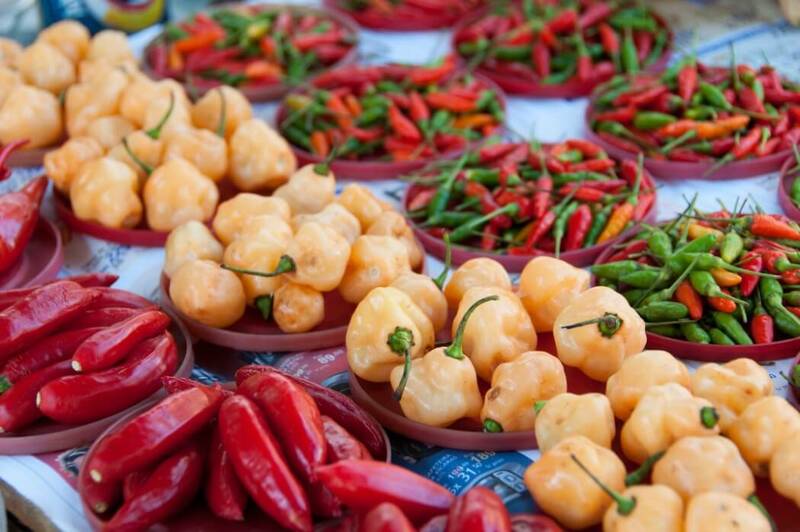 In Peru, this chili has permeated their cuisine. 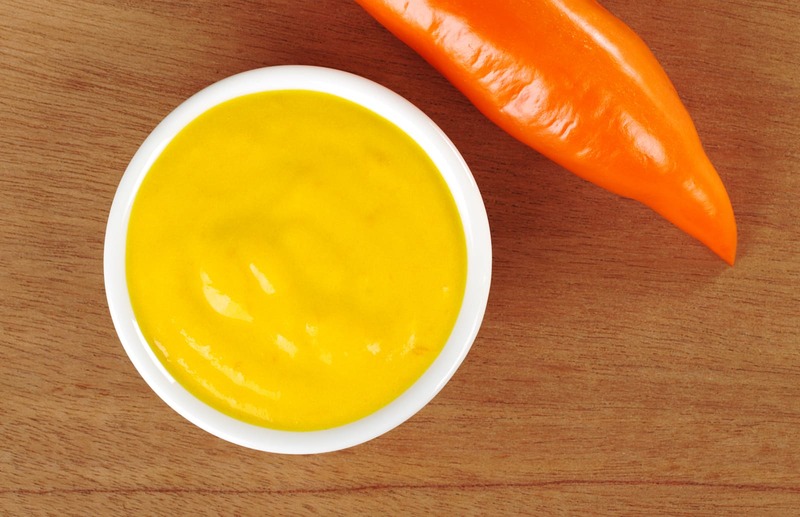 Any authentic Peruvian cookbook will be chock-full of recipes calling for the aji amarillo. Really, the versatility of this chili is a big part of what makes it special. Its fruitiness makes it terrific in hot sauces and salsas, and it tastes quite good fried with a little olive oil and sea salt as a side dish. Try them raw, too, mixed into a refreshing summer salad. The pairing of goat cheese and aji amarillo over greens is no doubt a simple, yet special treat. Where can you buy aji amarillo? Buying these chilies fresh in North America will take a specialty store. If you have a Latin grocer near you, you may be in luck. Otherwise, you can buy aji amarillo paste and dried chilies online. The paste is quite tasty and can make a good substitute for when the fresh chili is not available. Dried aji amarillo (also known as aji mirasol) tends to concentrate the summer-like flavors of this pepper, and the raisin tartness is more prominent as well. 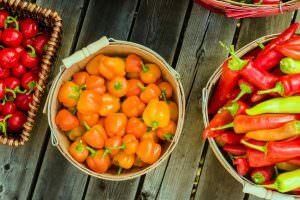 When rehydrated, they, too, are viable substitutes for the fresh chili in sauces, marinades, and stews. There really is so much to love about this hot pepper. It has a unique flavor, a rich history, and a very eatable heat. Introducing the aji amarillo to your kitchen – especially in its native Peruvian cuisine – can open your eyes to whole new worlds of taste. Aji Amarillo Hot pepper 40+ fresh organic seeds for the 2018 season.